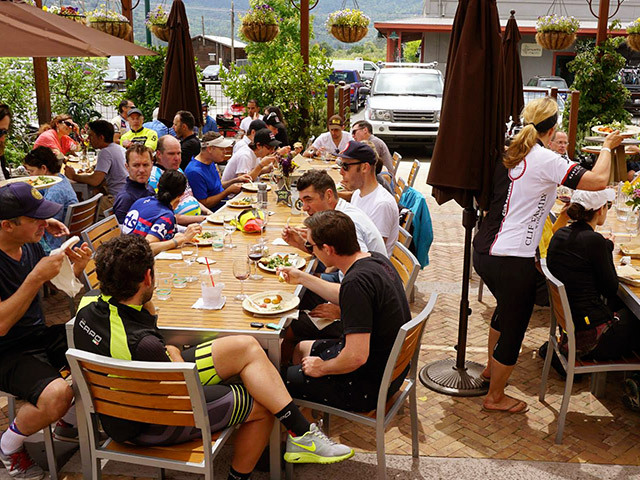 Clif Family is the perfect spot to kick off your Napa Valley cycling adventure. Begin your journey with an espresso and a Clif Bar and then take a tour through the picturesque Napa Valley hills followed by a delicious food and wine experience or lunch from our Clif Family Bruschetteria Food Truck. Cruise through the country roads in back streets of St. Helena. This out and back trip is a perfect for a relaxing afternoon for all skill levels. Get ready to go power straight up the mountain and fly back down with beautiful views and little traffic. This is a long and steep climb with virtually no breaks. Enjoy! 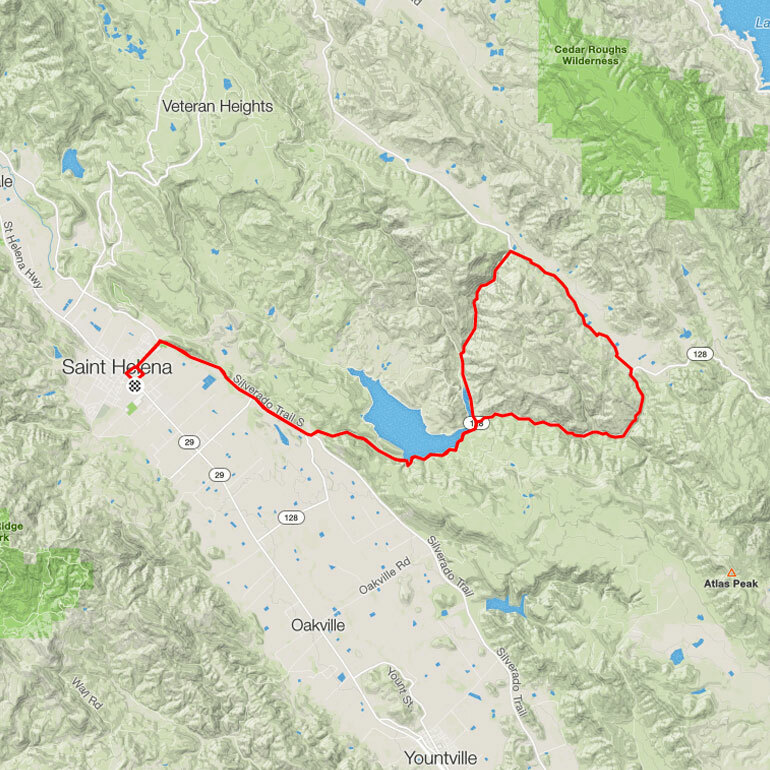 This out and back does climb as you wind through a country road surrounded by beautiful vineyards, ending up at the pristine Lake Hennessey. 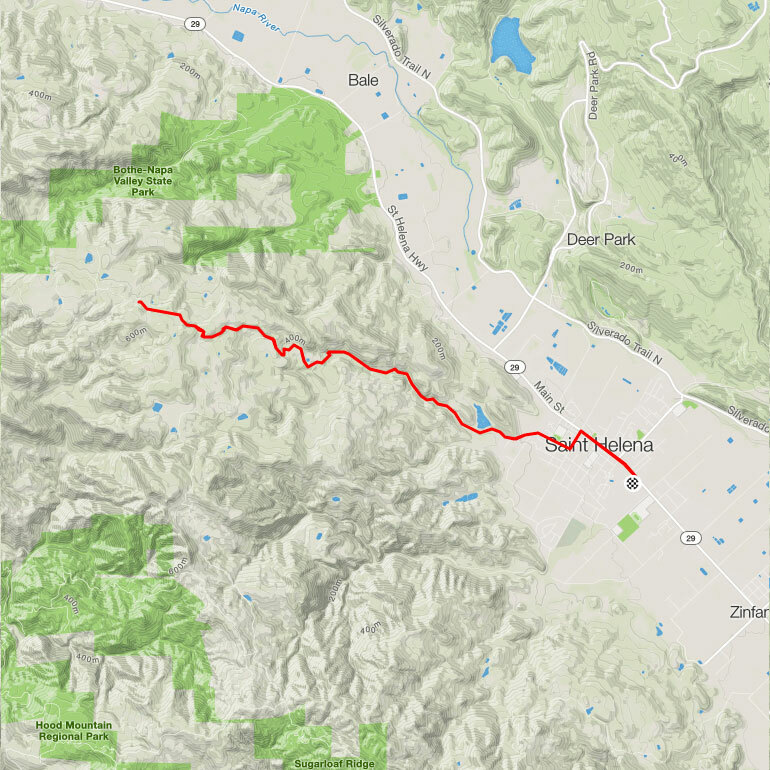 This ride has little traffic and provides shade, which helps with a long climb up Ink Grade Road for about 4.5 miles. 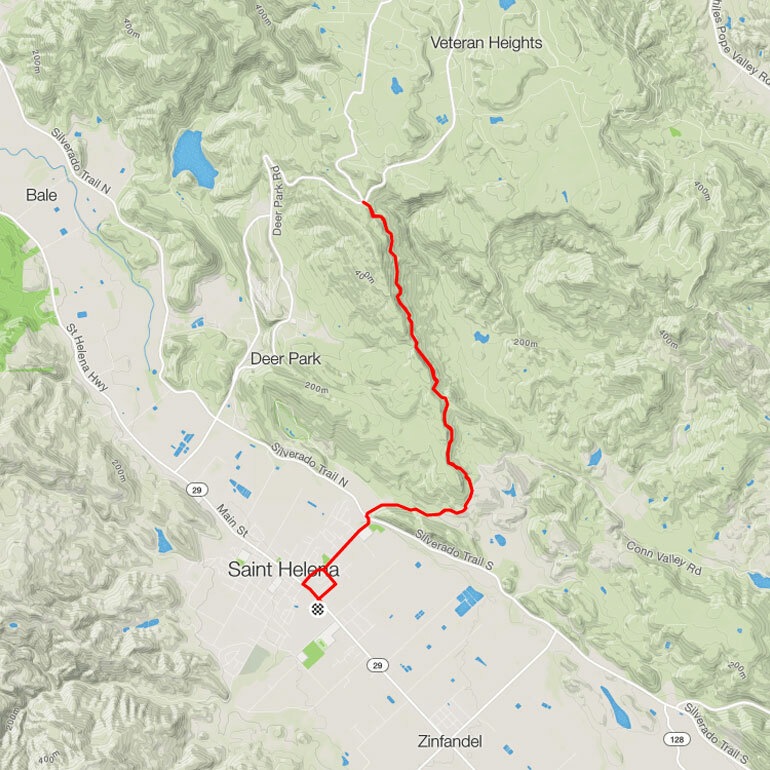 This is a lovely loop with a nice blend of rolling terrain and short climbs through the beautiful Pope Valley. This is scenic route, bringing you through quintessential Napa Valley. Spin past vineyards and look toward Mt. St. Helena. This loop is very hilly and challenging! 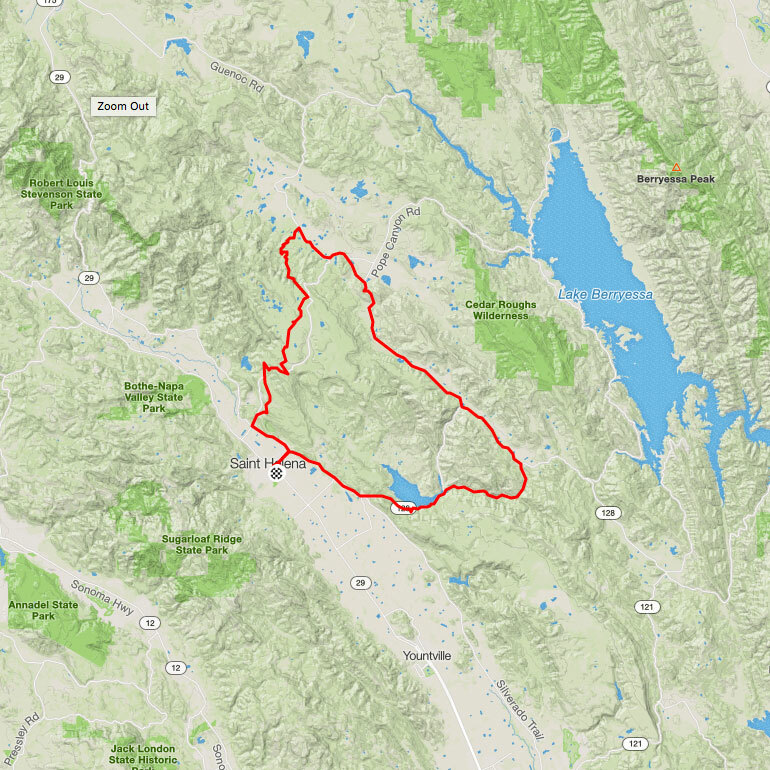 Lots of climbing on this loop over at Ink Grade and rolling hills around Lake Berryessa. 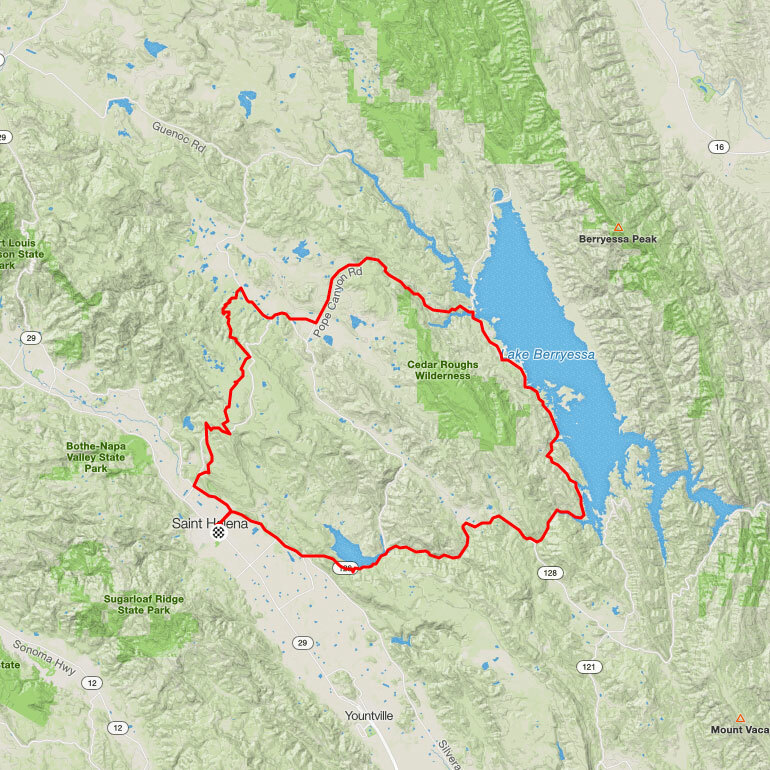 We teamed up with the pros at Calistoga Bike Shop to offer bicycle rental packages. 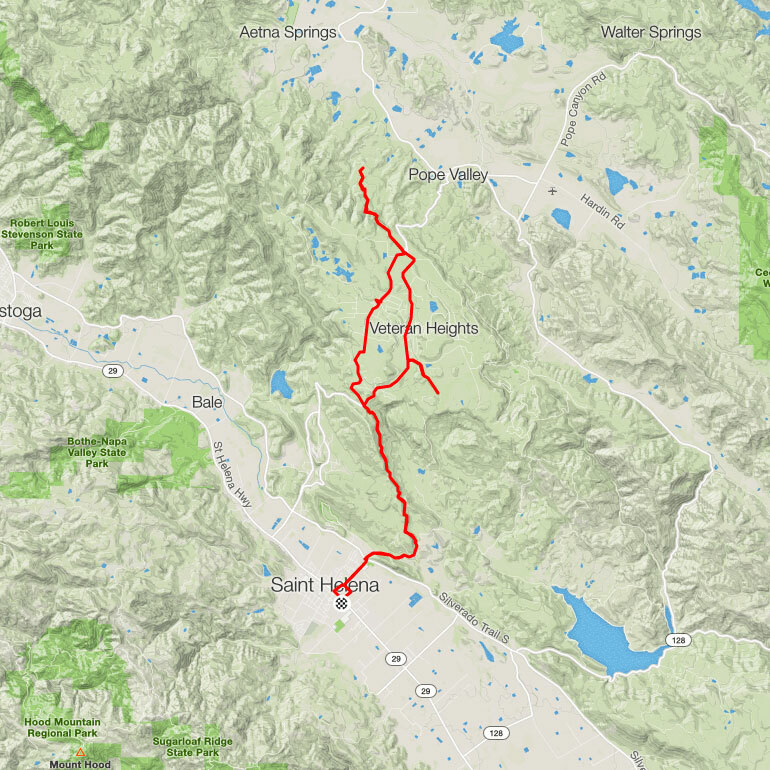 Enjoy cycling in the Napa Valley with The White Road, a High Performance Road Bike Rental Package or a Tour de St. Helena Cruiser Bike Rental Package. Calistoga Bike Shop will deliver custom fitted bikes to Velo Vino for you. For both packages, start your ride with an espresso and Clif Bar at the tasting bar and, upon your return, our Clif Family Wines and signature food pairings await you! 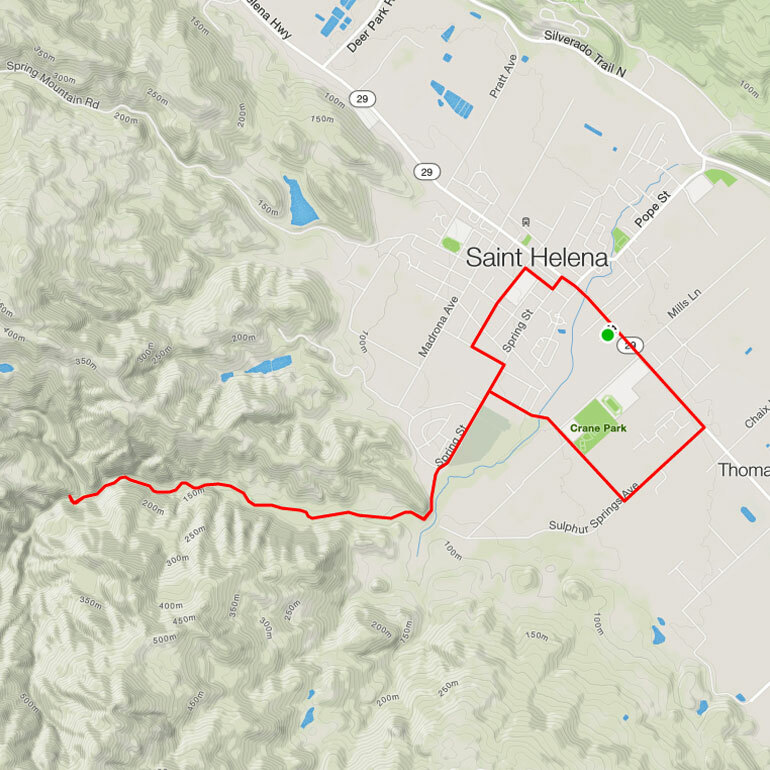 Take a break from the hustle and bustle of the highway by exploring the back streets of scenic St. Helena on a self-guided bike tour with a cruiser bike. 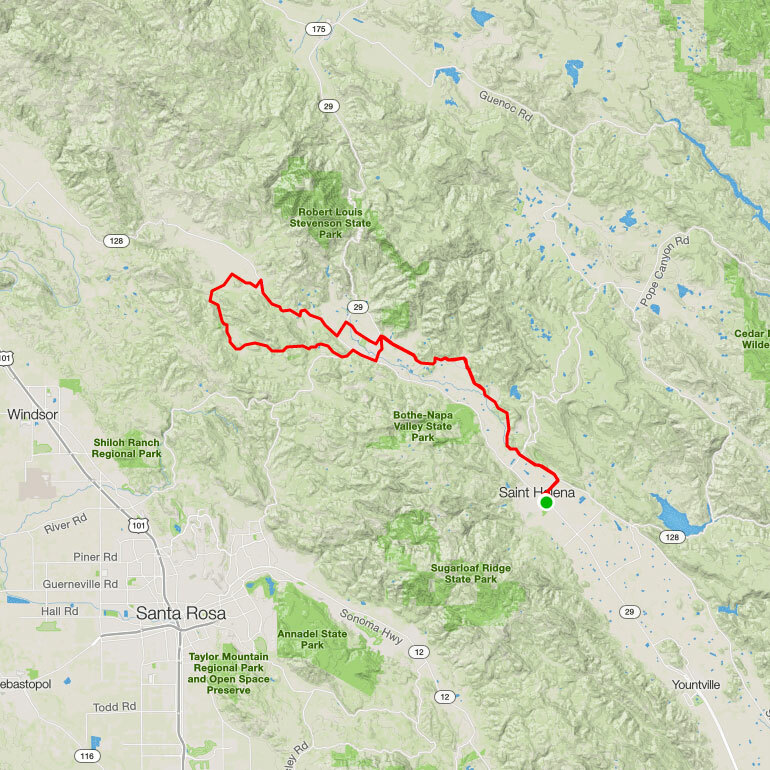 Weave your way through vineyard lanes soaking in the serene valley views and dramatic Mayacamas Mountain Range. The “White Road” is the intersection where the spirit of adventure meets the passion for travel. Enjoy a day of cycling in the Napa Valley, Velo Vino style, on a carbon fiber ride, compliments of our friends at Calistoga Bike Shop!